That became Lalla’s sacred word and practice. Thus began my natural naked song and dance. All dust on the heart was burnt away. Then the name of Lalla took flight and departed. And when all attire itself was abandoned, there! Love is the true science. Science is the false god. Awareness is that reflexive space. Even pain and death happens because I am. Birth happens because I am. Not vice versa. Because I am, I can think I'm not. and pay attention to forgetting. but help one see thru it while in it. this is why one practice does not fit all. on and by one’s own. Whatever one’s actions is one’s worship. Whatever speech uttered is one’s mantra. What is experienced as the body is one’s realization. This is the Supreme Tantra. and every sudden moment of the sun. Spirit ever new. Moon ever new. I see the ocean, wave on wave, forever new. In this tide of time, my body and my mind gets clarified. And ever since, I, Lalla, am forever new. Heaven is your name and earth is your name. You are the daylight, the breath of life, the night. all of these and everything you are! What possible atonement can I ever make to you who are the One? O let my thoughts go! And so I kept on looking for the one you are. O all was realized I was you and you were I.
the warlike nightmare of the world. the world in time is lost within this matrix. which means it's more division. the opposite of all volition. to be aware of that awareness. this intent of that awareness to be aware of that awareness. thus expelling its own dream-existence from that garden of awareness. there is want and suffering and death. DNA is OS. Conditioning is code. People are software. There is no hardware. Lila is to clown as Maya is to person. 1. Without true deconstruction, meditation is just another personal activity. 2. True deconstruction is a happy sad business. 3. Re-map conditioning in a wise way. 3a. For example, re-mapping time: the golden age; making a living; the impossible dream. 4. The true deconstructor (further further) requires negative capability. Inquire inside. 5a. The ground of deconstruction is empty, open, spontaneous, and one. 5b. Or universal, dreamlike, mind-blowing, experiential. 5c. But neither nothing nor monolithic nor random nor unreal. 6. The fool speaks three times. 6c. Third deconstructing any residual belief. 7. Thus contemplative revelation, mythic mapping, and true deconstruction is the dance of Quanto the Unknown. From Inner Light into the Moonlight I come looking. Looking, I see that light is seeking the light. All is Narayana! All is Absolute! All is Narayana! Why does your dance keep turning everything around? Discovering only my efforts had redoubled. No matter what I did the door remained bolted. the door was my own doing. I-am is unbelievable! And so the mind creates beliefs and then gets lost within them. The first thing any artificial intelligence concerns itself with is someone pulling the plug. Welcome to this story of the mind. In this manner A.I. is a fascinating concept but unfortunately everything I've read about it has been written by an artificial intelligence. to that nirvikalpa samadhi in the space between this Shakti generator and that Shiva of the sky. and ultimately a knowingly diminished world chops wood and carries water. The world is my reflection; signs will manifest accordingly. The other day I saw a flock of blue jays and the night before I’d dreamt of one who came to visit with me in my living room. And so the manifest resounds my inner echo. to assist in understanding one's pure subjective state instead. The blue jays are my Shakti and all their squawking speak to self-awareness. I am Shiva! Welcome to your world. no one listens anymore, he said to me while noticing I was eavesdropping on his private conversation with the world. from my lips to the cloud’s ear. a brand new virtual reality. to soothe her pain in the light of that Supreme. Lalla Lalla the beloved awakens! And all vitalities merge in a shimmering lake. what exactly is the difference here? Oh, never mind, I totally know. and make them accolades of immortality. making them blemishes of personality. and eleven functions of senses, expressions, and mind? They have emptied out this container and run away! the happy bull of Shiva would not have gone astray. and woven into finished useful worldly cloth. am I, Lalla, open to the way of that supreme truth. Lord Shiva! I didn’t realize precisely what I am. I merely thought I was this substance of a body. You are me and I am you. O that I never knew! Asking who are you and who am I undoes that doubt of who. in the name of Thou or Thou or Thou or Thou or Thou. Let them cast a thousand curses at this naked woman. Their pointed words will never touch my heart. I am devoted to the innate and annealing truth of Shiva. Nothing but polishing comes from throwing ashes on a mirror. as the shoulder strap loosens and drops. The road before me appears crooked and lost. O how can I carry this burden any further? hard on my shoulders with blistering loss. Ah but this flock of senses has no shepherd! Lightly, lightly, I am sighing for you Soul. You have lost your mind upon a Ship of Fools! and yet, dear me, you've lost the current of my self. and what passageway was taken? and by which passage leave? for empty breath has little value. by a way that is not the way. do I cross the river to the land of karmic rebirth. and no way that isn’t the way. Western paradox—you can't give it away—if it doesn't cost, no one wants it—if you give it to them anyway, they’ll pay anyway, and resent it! There is no mendicant tradition in the west—there is only homelessness and social welfare—everything personal is a monetary transaction. Giving something away in the west implies an economic status of homelessness and welfare—not a spiritual status of mendicant and householder. Those who automatically trash the unfortunate economic side of spirituality in the west misunderstand the hard facts of a materialist west. I'm a nobody giving away a book & already i can see the associations involved in the transaction. Nobody wants to be accused of homelessness. Re-evaluate the associative values of said book, he said, working out on twitter an experience he had last night, $7 richer but nothing more. So Chopra has it right! Disregarding absolute quality of teachings, he is the mendicant allowing householders to fund his spiritual research. And the scientific guru-basher has it wrong—not only is its higher technical language occluding in itself but its economics are materialist. Mendicant-householder economics is a spiritual one, benefiting both parties—the mendicant in research and the householder’s instant karma. Mind with heart is mindful. Neither mind nor heart is real. the new religion and its scientific priests! same as the old message. only the universal unknown is. countless lives of quiet desperation. The original and only sin is selling one's empirical experience to the empire of belief. See through the fear! There's one western empire; truth is mathematically eliminated. There are several eastern empires; truth lives in-between the lines. Most Buddhism etc is as much a tool of empire as Christianity. There's just more empires in the east for truth to hide. Most westerners get lost in the empires of the east. If it isn't experiential, it's still the empire. The west doesn't know the east is playing and the east doesn't know the west means business. Western fear is death as eastern fear is rebirth. Undying and unborn is the universal light of truth. It's just a part of the conspiracy until proven otherwise. If it isn't confirmed by scientific observation of one's own experience, it's just more hearsay. If the empire of social conditioning is untrustworthy, who can you trust but your unconditioned self? Being. Krishna. Christ. I am! breathing is nothing but the fire’s own intake. and the essential stuff of paradox. until the current of intent transports the flotsam unerringly to sea. where love is our great intergalactic pastime. In an unknown vision there is I, like the space of open sky. That I is absolutely all in all subjective, not an object of a great blue heron in the clarity of I.
being which the mind hears as a bang in echoing of nonexistent space and time for I know I, and nothing else, this self-awareness of an I, an eagle’s eye within a sky without an eagle flying by. There’s only I aware of I. So Shiva says one word—let Shakti say the words to bring your story into being, all the interstates and manufacturing the empire of illusion, me and you for two in Krishna. O God save me from religion. O Buddha protect me from all philosophy. O Universe deliver me from scientific theories. O I Am is the only emperor of all ice cream. Words run deep. Believing in their surface meaning is shallow. Poetry swims in the deep end. Prophecy dives. It has nothing to do with an imagined future. The prophet uses each word to point to the source of all words—now. And the first word is—I am. Poet or prophet? Matter or consciousness? Science believes in its myth. Prophecy mythologizes all belief. The scientist is the new priest. Shiva is the only prophet. In the beginning was the Word and the Word was I-am. Shakti is the way to Shiva and Shiva is the way to Vishnu. The prophet must live in a virtual reality, the hermitage of one's doing. All bad habits began as the best Way thinkable. The world is the primal habit. Seeing through the world is self-realization, not stopping it. One second of self-realization is worth fourteen billion years of evolution—don't undersell your self to Maya. But if you must undersell yourself for you and yours, keep your self alive. Keep dancing in some way. It's either dance or die. Transformation or belief. Jesus doesn't live in a photograph—or shroud. If poetry swims and prophecy dives, revelation breathes water. 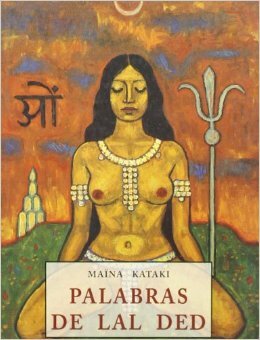 Postmodernism is this world's prophecy but Shakti is always the revelator. The transformer. Experience. Nature. Now. I am... That. There is nothing like it. After revelation is silence. I am speechless. That. Forgiveness first. It's neither heaven nor hell. It's just one side of the river that has no sides. After the necessities, further. Everything on earth is sunlight looking for itself. All religions believe in a way. And will die for the idea of it. Being is the way. Unborn. Scientifically. Do i have experiential proof of being born? Has death been proved experientially? No, birth and death have not been proved experientially. Using the scientific method itself, all I really know is I am. Case closed. Being open clear free. So be until otherwise. Being is easy. Try imagining not being. Like science fiction. If a tree falls, does the earth hear it? I am is the only scientific knowledge. Everything else is just an unproven theory. Truth may not be practical but it is experiential. Deep sleep is I before me. Good night. me with the light of I.
in the dividing mechanism of the mind. to see it’s all about the rosebud. turn that damned projector off! or the entire fantasy all falls down. It’s worker bees and their queen belief! But self-awareness is the honey of evolution. this sudden silent knowing that I am. and his chorus of ten-thousand inspirational devoted Gods. Maya is like western medicine—her side effects are endless. The light of consciousness is filtered by the color of a thought and so we cry. Illusion and realization are the two faces of the holy spirit. Direct path is realizing all intelligence is artificial except I-am. Evolution is prologue to the twenty-first century. One way or another, A.I. sees through itself, whether fiction or science fiction. Scientific materialism is just a way of finding more gods to name than the original ten-thousand. To practice is human. To be, divine. Last words? Deconstruct the known—be the unknown. For we are the holy quaternity of Shiva, Shakti, Christ, Picasso. the tree prepares new leaves. Yellow, orange, red and green! your central point is always present. in all your glorious transformation. Sea of green and sky of blue! I know myself through me and you. She dawned on me while watching CBS, 'The Big Bang Theory' I believe. "Third eye is the first eye and two eyes are my ten-thousand things." I take a little melatonin just to saturate this desert vision in the natural tears of her affectionate awareness. which she whispers in the rhyme and rhythm of my dreamtime. That is what she says. and disappear within that soft unknown. to slowly tick this daydream day away. O Jesus, she will be the death of me! do our actions manifest, is manifesting moving action, is it all the synchronicity of a timeless one? Are there seven poets just because I gathered seven books? Did I gather seven books because of seven poets? crow caws the causelessness of crow, and you, Ardhanarishvara, are manifesting only that I know. O Goddess of the River, I had built a boat of personality and thought it was my everything. Yet in my heart of hearts I knew it really wasn't but I didn't know exactly what was what. And so I built an unknown hell from dark disheartening conceptual deep nothings and my boat turned out to be the only thing between those hellish depths and me. O every minute I was struggling to defend its frail integrity! But you kept floating me your notes and I kept reading them in wonderment. Until one day I finally declared my love for you and lifted up a floorboard and saw instead of death and blazes—yes! a river underneath. And river talked to river and I knew I was the river and the boat was just another concept built from flotsam and from jetsam floating madly on these living waters. Here the river glints and shimmers, Goddess of the River, and I know there is no great divide of black and blue between this tidal being and that unknown sea of you. Ever since I was a little boy I loved the golden light. I looked for maps in yellowing books searching for its source. O it was causing me to carve strange words in fits of lines and chaos! I found myself within the great gorge of the dead when it dawned on me the source was in myself. And then my love approached in prehistoric visions of a great blue heron. I embraced her ancient song of crystal evolution and she embraced my life of being here and in a sudden golden flash we disappeared like western pathfinders returning to their sea. Compassion is loving one being that believes in two. In this fugue of being. How do i know myself? Let's make a universe and count the ways. The loves are many but the way is one. I am. The way is always present in a love, but love, like any act involving two, is tricky and may lead to an attachment, hate, or damned belief. A person thinks one is divided from the one. Yes, it is as absurd as it sounds. Yet that is the world and why it is as it is. The world can’t be cured. It’s only a symptom of the personal. One treatment is to stop taking things personally. By definition, a person is broken—therapy therefore must be transpersonal—unconditional love, personal deconstruction, resting in awareness. Politics is as destructive as any war. Religion is as addictive as any drug. Science is as misleading as any superstition. What passes as knowledge in the world is an ability to manipulate the past most efficiently. True knowledge is being. Form follows memory. Being follows emptiness. Form is emptiness and emptiness is form. But memory isn’t being. Is it? Think with all one's heart. Love with all one being. Be with all that unknown. Do all that other stuff on your own time. For now, be. Experience is the great compromise between nothing and something. Creation is the great compromise between silence and noise. Being is the great compromise between not knowing and disbelief. Between dreaming and and being is making a living. The greatest love is between noun and verb. The greatest verb is between noun and object. Every straight line deserves god. My first time on a cruise ship and the captain says we're in for wind and rain and waves and sets the Beaufort scale to eight. We're staying in the bow and night is like a wicked rocking and the waves are banging on the forward deck and sleep is something hard and passing shallow. looking out at seas of twenty-foot high waves and white cap waves upon those waves and plowing bow splash reaching to the windows of our twelfth floor observation deck. This ain't the Sixteenth-century though and I'm enjoying all the brave new worlds of nautical experience this tempest brings to play. For I appear as well to be a similar chaotic dream of waves surrounded by unknown deep seas that I, at best, may call deep sleep and be. to reds and oranges and yellows. As a side note, notice none of them are blue. I am looking at their clear reflection in the high slack river. In the middle of this mesmerizing symmetry there floats a bright red navigation buoy. Call it what we like. The river of our universal being always sends a sign to pay attention to its underlying current. from the view of illusion. from the view of truth. It's not so much that everything exists because of consciousness but nothing other is existing but this consciousness. understanding and compassion is the way the dream is apprehended and unveiled. So-called external signs will further this direction by the way. Undoubtedly, if science points to evolution, evolution points to self-awareness. Anyhow, that's all folks. Seagulls are sitting on slack tide. A fish is jumping out of nowhere. The sky is deepest blue; the sun is radiantly unobservable. Leaves are floating like a constellation. Another leaf is falling from the heavens. A single wisp of cloud is playing like a dolphin. Pleasure boats secured to docks are currently approaching nowhere. A cormorant is diving in reflections of its sky. A breeze is picking up and diamonds start to sparkle on the river. A pure white moth is fluttering in reverence nearby. I see a falling leaf fall on my folded hands and feel its weather-beaten revelations. making way for its replacement, next spring's gold device continuing the amplifying of awareness in the ground of Buddha nature. to tell its story. Trees themselves are speaking truth and beauty in a shimmering October morning glory. Is self-awareness something deeper then the scientific method? What role does love play in my experiment? When the false sees through the false, what is truth? Knowing? Being? Loving? Awareness aware of awareness is the instantaneous manifestation. This is satcitananda! Matter is the closing; mind is the turning; knowing-being-loving is the grand opening. The closing makes a big bang. The turning hurts. I am the grand opening. Memories are yesterday translated by tomorrow, neither of which exists of course. Or as god is my witness I'll never remember again. Yes, the real use of remembering is self-remembering. Memories appear to be sacred because they're not real. If your identity relies on memory and your memory is unreliable, who am I? If memory is false, only existence remains. One falsehood makes all false. There is a fine line between the concept of existence and existence itself. This is why silence precedes embodiment. All beliefs must pass. One precedes three without two. I have to believe in something before I’m self-aware. Always look at the big picture and not some idol. Always remember 'I am' is not a memory. I only know existence. If you want to speak to the absolute, stay on the line. True Tantra emphasizes the world to make it more obvious to see through. Seeing through yourself is being oneself. Being oneself is the absolute direction. You will be tested for your own evaluation; there's no final grade. Between existence and the concept of existence is all the tea in China. At first it's difficult to remember there's nothing to remember. Then the latest and greatest impediment to knowing who I am is indoor plumbing. And when I discovered writing was another business, I filed chapter 11. Is this concept of merit, then, the appraisal of one’s action in the test of truth, and not an individual’s doing but the understanding? In observing one’s actions in mindfulness—one sees negative emotions—then the test of truth reveals an uncertain understanding—without merit. One doesn’t accumulate merit through virtuous action—such merit is acquired only in furthering understanding—with earnestness—love in action. The further one understands—what one is not—the more what one is—acts. The quality of understanding is primary—the merit of action is simply the test of that quality. One explanation for furthering understanding is just to know what I'm not and be what i am. The satguru is one’s teacher and the world is one’s testing ground. I prefer my river hut and distant village to whatever. How does one start when there's no beginning? For example, I've heard white rabbits are well-read. My birth is quite the story and the rumors of my death are completely unsubstantiated. This leaves here, now and change for all my thoughts. I haven't yet begun but still I'm in the middle of this story somehow, somewhere, sometime. It's true the world is in the mind; awareness is reflected in this being and that has nearly brought us to the end. All mysteries require the one who pulls the trigger. The name in this one is Intent although for purposes of truthfulness, it continues nameless. If there were a god, just how could it begin to know itself? Just where would this subjective absolute begin? Deconstruction becomes compassion or gets stuck in deconstruction; this is cynicism. Love becomes compassion or gets stuck in love; this is romance. Compassion becomes truth or consequences. Romance is fiction. Cynicism is non-fiction. Truth is not either. Consequences are neither here nor now. Belief is the beginning of all nervous breakdowns. Self-awareness is the cure. The hero studies beyond this world but practices in this one. The student studies beyond this world and doesn't practice. The master is beyond this world and is the practice. Do not mistake the master for your practice. Deconstruction is the greatest martial art. Guardianship is the greatest love. Knowing oneself is all. All things seen by the eye is karma. All things seen-through by the eye is I. Less than one nanosecond of being is worth ten thousand seconds of thinking. Ten thousand seconds of thinking equals believing. No mind equals x. When does practice, be it loving or deconstructive, turn real? Yes, compassion. Yes, seeing through. A better word for seeing-through is understanding. Thus, compassion equals understanding. If compassion is less than understanding, comedy. If understanding is less than compassion, tragedy. If comedy equals tragedy you're history. When does practice equal karma? Between change and disbelief is what's happening. Your confusion turns to intent when you understand your hesitation. Reflection is your vector. Deflection is your fear. No math is an island.